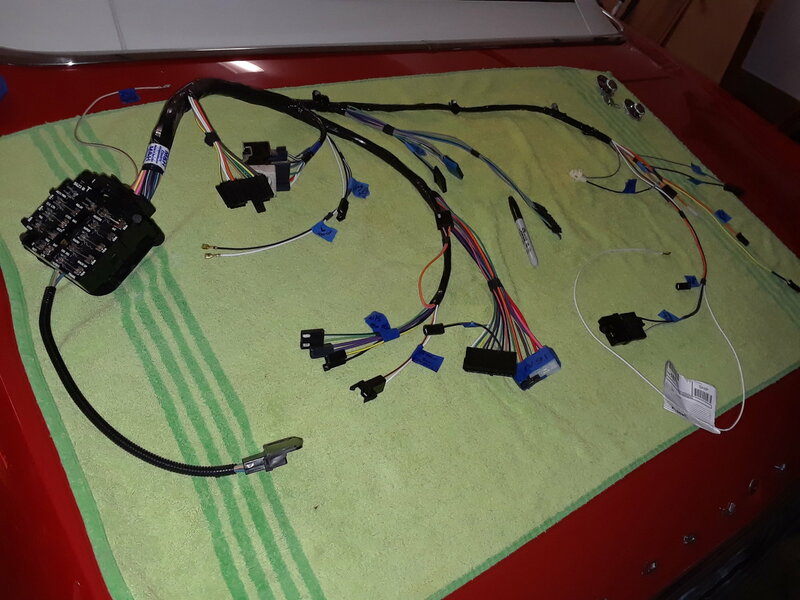 Finally diving into my dash harness replacement, something I should have done while the dash was more fully apart for the prior Vintage Air install - but, it is what it is... 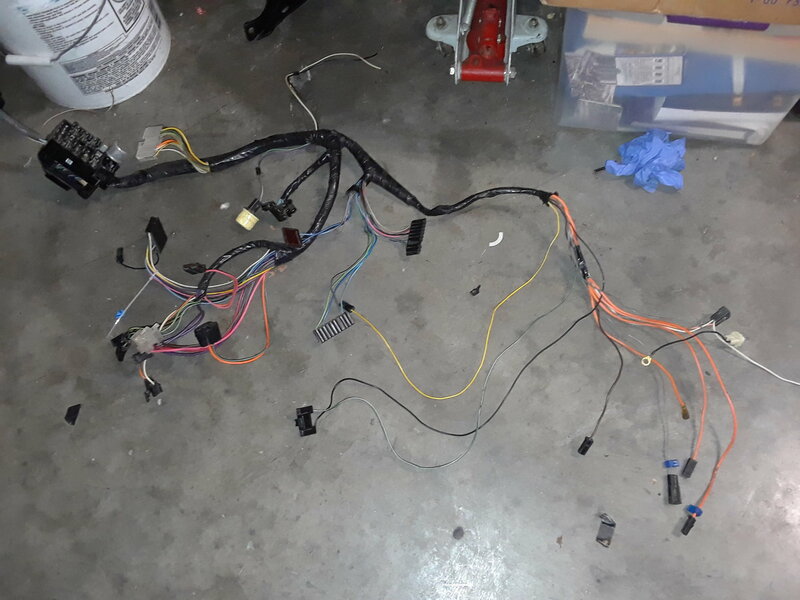 It's an original condition harness that had never been messed with but after a turn signal fuse blew recently while I was traveling on the highway at night and shut my engine down, I decided it was time..
With careful and patient efforts, I was able to remove my existing dash harness just by removing the dash gauges, radio and lower a/c vent panel (in my case split panels, I have a center gauge console dividing them), ultimately being able to pull the entire harness out through the fuel pod hole. 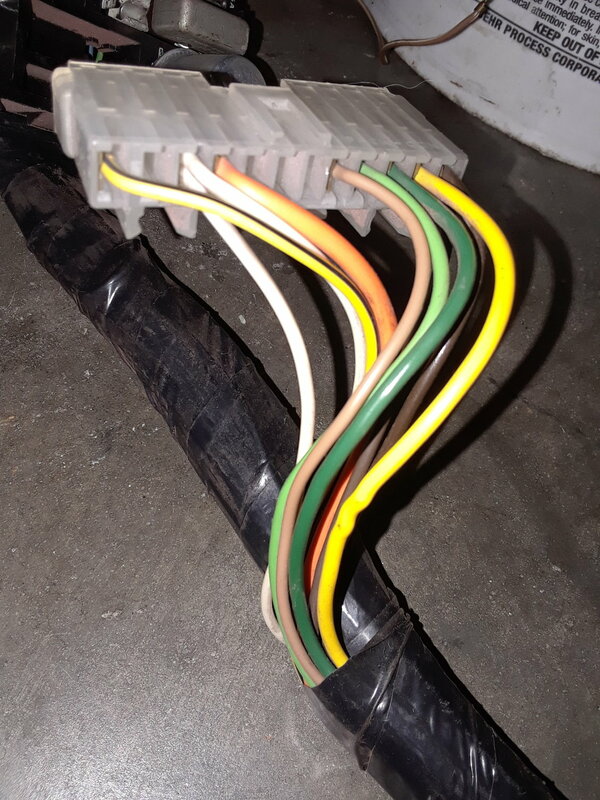 Was not without some minor hiccups though, parts of the harness extensions were routed between the back of the dash and the metal frame braces, making it a bit tricky at times. In addition, the factory courtesy lamp harness is apparently attached to the main harness, essentially necessitating its removal, at least in large part, before I realized it was actually a separate piece. I labeled any connections not immediately obvious, to ensure I wouldn't mix anything up on the reinstall. I've replaced these on other cars in the past but still never hurts to insure your efforts. Last edited by 70sgeek; December 10th, 2018 at 05:03 PM. Good for you. Where did you get the harness from? Seems to be quite a few suppliers out there. Do you know of any to stay away from? Is M&H made in USA? Can anyone with a 62 Starfire provide me with some good pictures/info?